I can’t remember the exact year it was, but quite a few years ago, I attempted to purchase a laptop from Craigslist. Given there is no longer an active police investigation taking place, I can tell you that not only did I not get a laptop, but I was also out $400. TL;DR version: I got robbed. It was from that moment on that I never used Craigslist again, considering you just never know who you are meeting up with. Now in 2016, Facebook is attempting to get people buying and selling, this time with something called Marketplace. 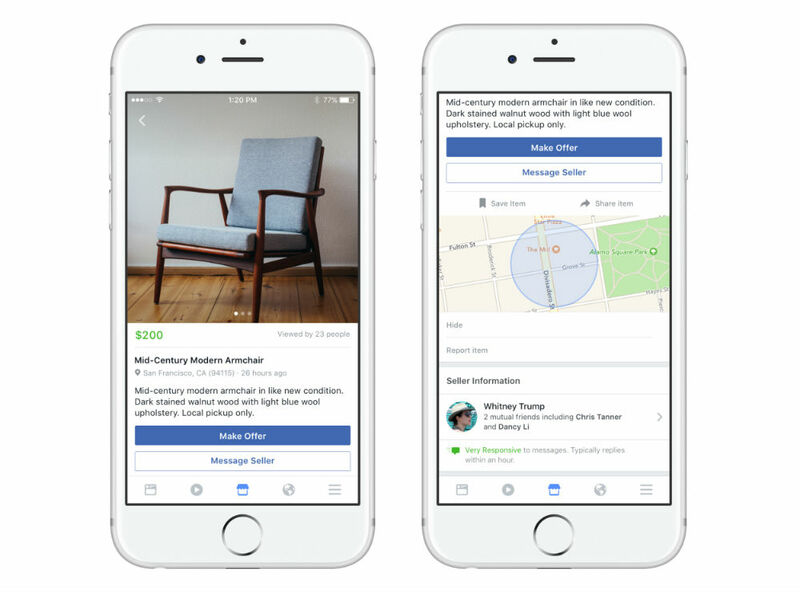 Baked right into your existing Facebook experience, users can simply post pictures of things they want to sell, or browse items already for sale in their area. Selling an item takes only a few steps. Upload a photo or take a new photo, describe your item and give it a price, confirm your location, then post it. For buying, you can easily browse items around your area, message a seller with your own lowball offer, then meet up for the exchange. Users can also save items for later, go back and view past transactions, as well as view past chat logs. Facebook states that Marketplace will be rolling out for Android and iOS over the next couple of days, available only to users who are listed as 18+. It is also currently limited to Facebook users in the US, UK, Australia, and New Zealand. On the downside, no desktop version of Marketplace is available at launch, but Facebook claims they are hoping to launch one in the coming months. Be safe selling your goods, folks.